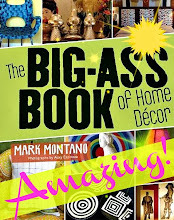 Mark Montano: The BEST day of the week! 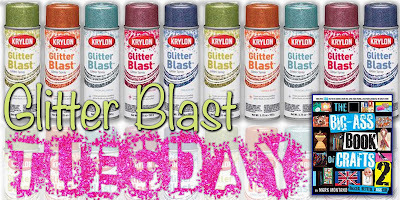 Glitter Blast Tuesday is here! The BEST day of the week! 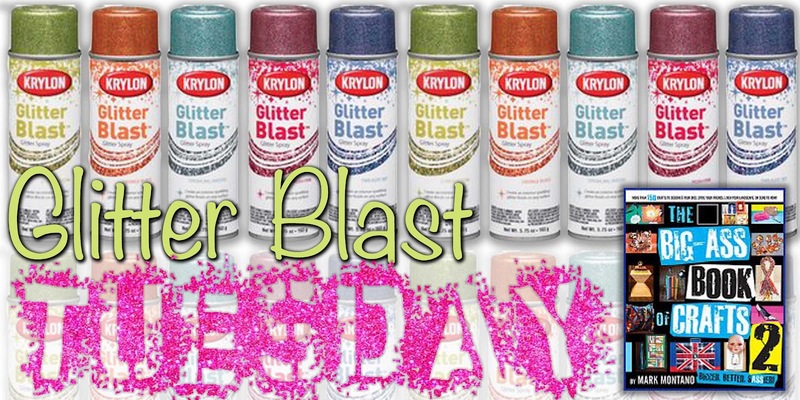 Glitter Blast Tuesday is here! I look forward to Tuesday just for your Glitter Blast posts! Shared, commented and already a follower both here and on Twitter. Right now I'm looking to spray paint some ugly old plastic lawn furniture and turn it into something pretty and sparkly. Yeah! I love glitter blast Tuesdays! 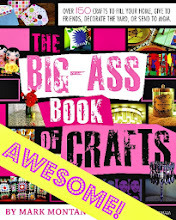 I am looking forward to fixing up some old items for a craft display. You know I stalk you, so we're good there. And I spray painted some cheapy Dollar Store plastic pots so that my Girl Scouts could decorate them with stickers and glitter glue and then we planted a fun little plant for them to give to their moms. So much fun!! Hi Mark, I did it all (well, almost, I don´t have a twitter account and sorry, don´t like it much...) but I hope I can still be able to participate on the giveaway. My new project is a cage with lots of sparkly butterflies. Did all the steps to becoming a possible winner of this awesome giveaway! I rescued some great wooden slats from a throw away pile and want to spray paint them and add some nautical sayings and shells to them! I'm a new follower. I am dying to try this paint. I bought 4 unfinished tables for both my girls room, and we all LOVE glitter. I have completed the steps :) I really hope you pick me! I have some fun projects planned - I want to do a fun chandelier in my daughter's room in glitter. I also want to play with some accents on her dresser drawers. I've also been inspired by your paper hat to play with some paper flowers of my own for an upcoming tea party! I've done all that you ask! I have not used spray paint a lot, but I do love finding natural things like pinecones, acorns, pods, and painting them. I once gathered a large amount of long curly bean pods from our locust tree and spray painted them with green glitter paint to use on my coral reef themed Christmas tree. It was great! All done!! Love spray painting substrates to use for collage! OK Putting out the vibes...the win vibes seems the luck has left me .....its coming back I know. I have done all you have asked Marc to win this awesome gift prize. My fav paint project, i make messenger bags and i LOVE to spray paint them. All messy and bright pink. All done! 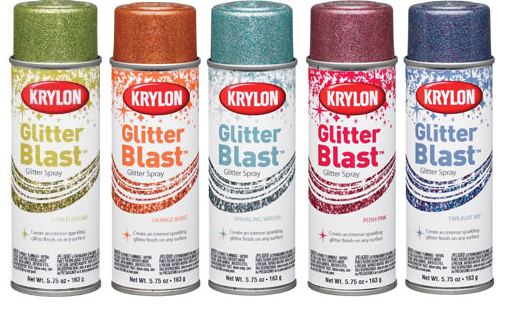 I have many, many ideas to use these glitter blast paints on. Many ideas! 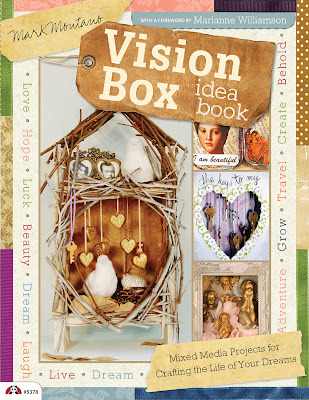 Also would love to try some of the vision box ideas. It would be so fun. Yup, they are perfect for the Vision Boxes! Just perfect! I'm so glad you found me Nataliya! Really glad you're here. I found u few weeks back while i was stumbling . if i win this .. you have no clue how happy i will be ..
and it still stands that you can Random act of kindness give my winnings (if I am lucky) to jacqueline marchant thanks for chance to win. I'm all over this one! I need some serious glitter action in my life. I've done all you asked. 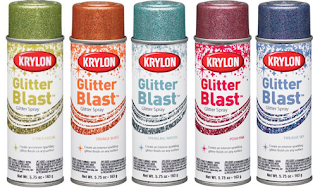 I'd love to win the Krylon Glitter Blast paints. I have a brand-new granddaughter (my 1st grandchild!) and I could do lots of decorating in her room with these paints! I love making mini shrines with the Coffee Break Designs shrine kits and spray paint is the BEST way to cover them! The glitter would be a BLAST on the new theater shrine I have on the way! I did all the things you told me to...LOL! I'm hoping I win. I have already 'liked' Krylon and am following you on Twitter. 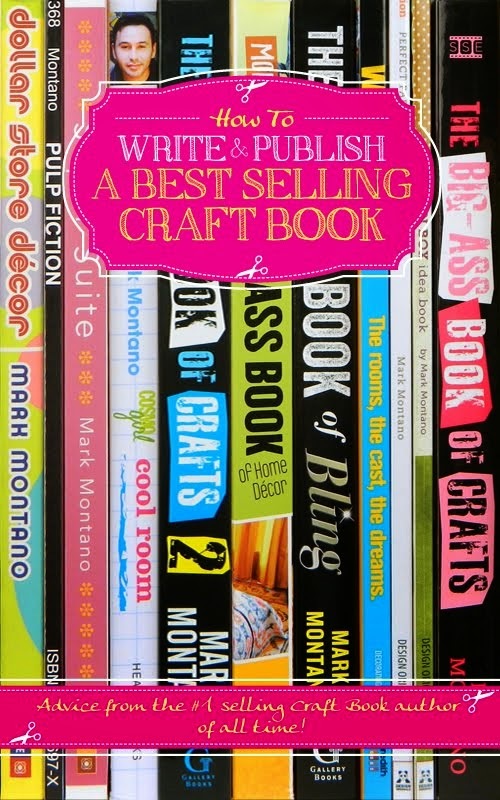 Your new book looks great. 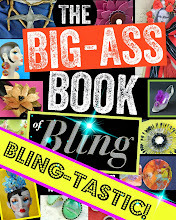 I really hope I win your book and the paint. I've already liked 'Krylon' and I am also following you on Twitter. I did everything that you asked. I love painting just about anything. Just recently I made a perfume rack out of an old spice rack. I spray painted it cream and my husband painted wisteria on it. That was a really fun project. My mom loves glitter so I would love to win and make something for her. Hi Mark, How are you doing today? I hope all is well. I love glitter and I'm so happy I singed up for your emails because I can join you for glitter blast. :-) I did everything you've asked. My favorite spray paint project is to spray photo frames. I have shared on FB and liked everything many times over , and twittered you as well , I think my fave craft with glitter spray paint would have to be redo old frames in to jewelry hangers a little extra bling for my bling !!! DONE :) AND HOW CPOLD YOU NOT LOVE ALL GLITTER AND ALL THINGS GLITTER :0 I DO. Followed all the directions. Thanks for the opportunity to have some glitter blasts! My favorite spray paint project is my new soap holder in my bathroom. Old candle holder, a pot base, some glue, some spray paint and some burlap. Excited for this promotion! I too followed all the steps and hope to get my hand on some glitter blasts, Thanks Mark and Krylon! My fav. spray paint project would have to be morphing old picture frames into something new. As a 20-something Chicago gal I have moved once, twice...okay, quite a few times with my decor inspiration changing along the way. 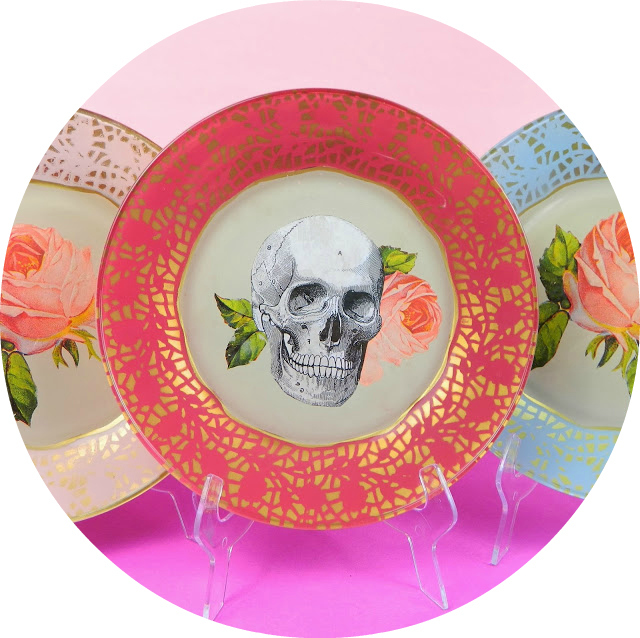 Spray paint is a fun way to update what you have while still getting a fresh new look. I too followed all the steps. Thanks Mark and Krylon! I would love nothing more than some spray paint and glitter fun! I would have to say my fav. spray paint project is giving old frames a facelift with new color. As a 20-something Chicago girl I have moved once...twice...okay numerous times with a changing decor inspiration. Spray paint allows me to give my stuff a facelift without spending a lot of $$$. Would love to add some sparkle to my collection. I still can't believe how gorgeous these colors of spray paint are!!! Done the deeds! I love to spray paint anything that can be used as containers to hold my craft supplies. Done! I love to paint anything that can be painted!!!! Shared, liked, commented, following, check. I love spray painting anything that will stand still, but seriously I love taking old yukky items and giving them new life with a coat of paint. Thanks Mark and to the folks at Krylon! 3. 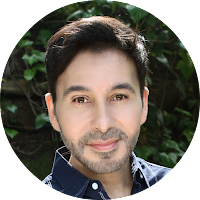 JOIN my blog - have been following. 5. Join me on TWITTER if you haven't. re-tweeted you and tweeted... myself!!! My Favorite spray paint project is... this week picture frames!!! I never have done any Blogging before so I hope I am doing this correctly. My favorite thing to spray paint are shirts. Mostly T-Shirts. I place a stencil on it and spray paint it. I have to let it dry and then paint it again because the shirt absorbs the paint. Then I further enhance it by doing some freehand work. I've done it all! How exciting... honestly, I love to spray paint most everything... especially to add pops of color around my house!